I'm such a sucker for Blue. Cobalt Blue is fast becoming one of my favourite colours, can be worn with everything and to know it's one of the colours of the upcoming A/W 2013-2014 season. I am ecstatic. 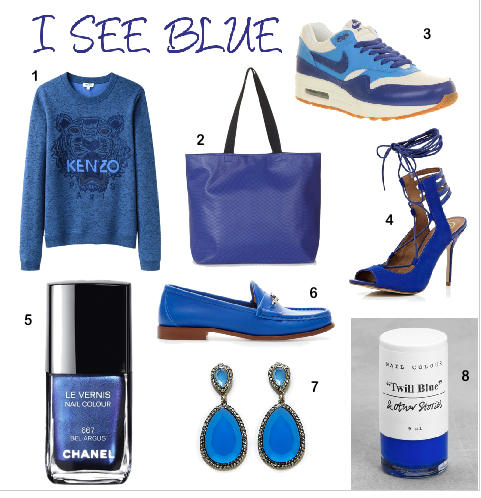 Here are a few of my fav Blue hue's at the moment. All are available to buy now. Amazing color...love this color sooo much.